Green jobs are becoming increasingly popular due to several government based bills that have been passed in recent years. These bills have allowed for grants and for educational opportunities that lead to careers in green living and green technology. The following are the top rated green living jobs that need individuals with either experience or educational backgrounds. These jobs may also require certain degrees and education that can be met through various new grant programs. 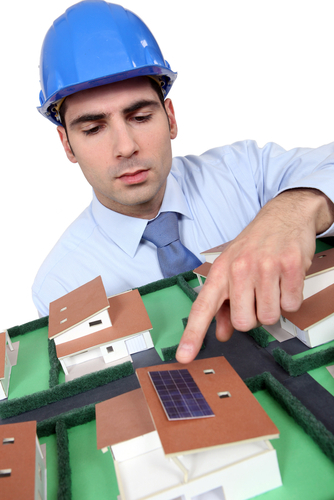 Solar installation is one the most popular forms of green jobs. This is due in part to the fact that businesses, homes and communities as a whole can use solar power as either back up generators or as full energy options. Solar installation requires the installation of solar panels on a small or large scale. When it comes to government jobs, solar installation jobs are increasingly popular due to the fact that they require larger amounts of installation and larger amounts of individuals who are skilled in this type of installation. Solar installation jobs can be found across the country and have seen a growth in grants and support from the government. In fact, there are several hundred government organizations that will use solar installation operators as part of their endeavors. Green energy consulting is an administrative green living job. A green energy consultant will work with businesses or with individuals to develop a green energy program for their home or office. A green energy consultant is skilled in various administrative aspects and aspects of green living. A green energy consultant will be able to determine if solar power is an option, hydropower or if geothermal options are available. They will also be able to discuss ways to decrease energy usage in the home or in the office. Other methods of green living will also be discussed if a business is involved. A green energy consultant does need special education. This education can be covered with various grants and services offered through the government to promote green jobs and green industry. When an individual thinks of green jobs they may not think of sustainable food production as an option. However, botanists and other plant related scientific studies can be directly connected to sustainable food production. Sustainable food production not only helps the introduction companies but also lends to organic food production and the move to move away from genetically modified options. With the increasing awareness of genetically modified options and the desire to move away from these options, sustainable food production analysts and researchers are in dire need across the country. Sustainable food production can help save production companies such as Purdue, Tyson and grain production companies throughout the country. There are hundreds of green jobs opening up daily across the country. These jobs are generally offered through the government. Grants, scholarships, loans and specialty programs are also available for each of these green jobs. It has become a government endeavor to open up green jobs and green production in order to increase the ecological friendly and consumer friendly options available to consumers.